Philippine-born Jevijoe is a project-based artist whose work ranges from painting and performance to installation and community engagement. Drawing from his experience as a working-class immigrant of color, his practice connects to the notion of labor, migration, and visibility of people of color. Jevijoe earned his MFA from San Francisco Art Institute in 2015 and has participated in international exhibitions/ projects including Flux Residency at AroS Museum, Denmark (2018), S.T.E.P. at Queens Museum, NY (2018), Agency of Unrealized Projects by e-flux (2011), Thirteen Artists Awards at Cultural Center of the Philippines (2006). His work was featured in Brooklyn Rail’s Architectures of Blue: Race, Representation, and Black and Brown Abstraction in October 2017. 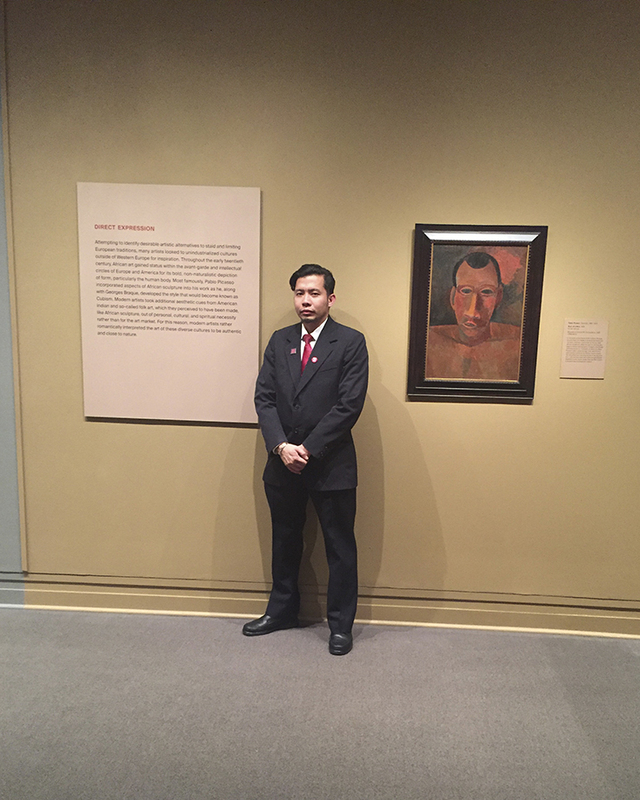 Jevijoe is a member of Museum Union Art Workers, District Council- 37 Local 1503 and lives and works in New York City. The Tunnel Mobile Karaoke celebrates the abundance of labor and diversity by honoring working-class immigrants of color, will orchestrate a series of karaoke-style musical events perform in bridge tunnels of East Harlem. In this project, tunnels will be activated as transient sanctuary spaces for immigrants of color by encouraging them to sing songs in their ‘mother tongue”. The series of karaoke events will also serve as an archive of shared experiences and struggle by working-class immigrants of color who are hard-working individuals and providers of their families both here in the United States and their countries of origin. I find tunnels very historically and symbolically meaningful. A tunnel signifies hope and entering a new stage of life. My Tunnel Mobile Karaoke is inspired from the tunnels at Park Avenue and 105th st. in East Harlem where Joe Bataan used to rehearse/ sing and called them “echo chambers”.